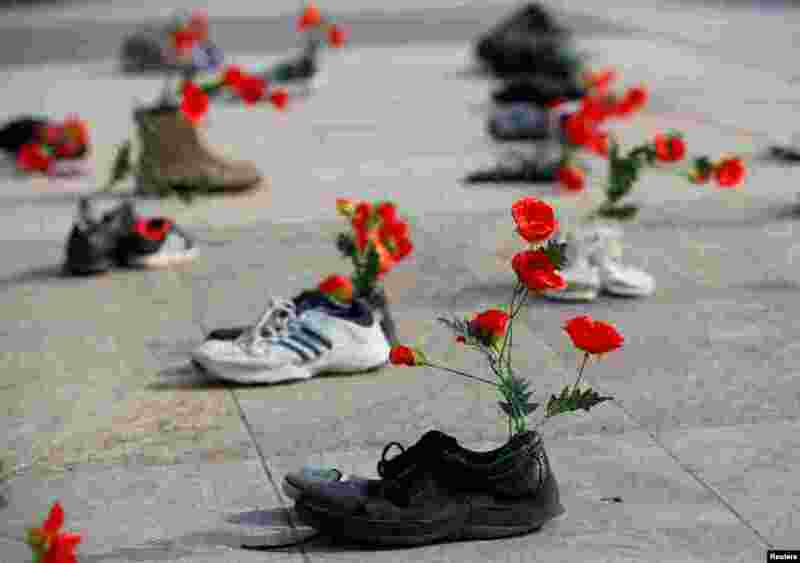 ١ Shoes with flowers are pictured during a demonstration against the speech of Seyyed Ali Reza Avai, Minister of Justice of Iran, at the Human Rights Council, in front of the United Nations in Geneva, Switzerland, Feb. 27, 2018. 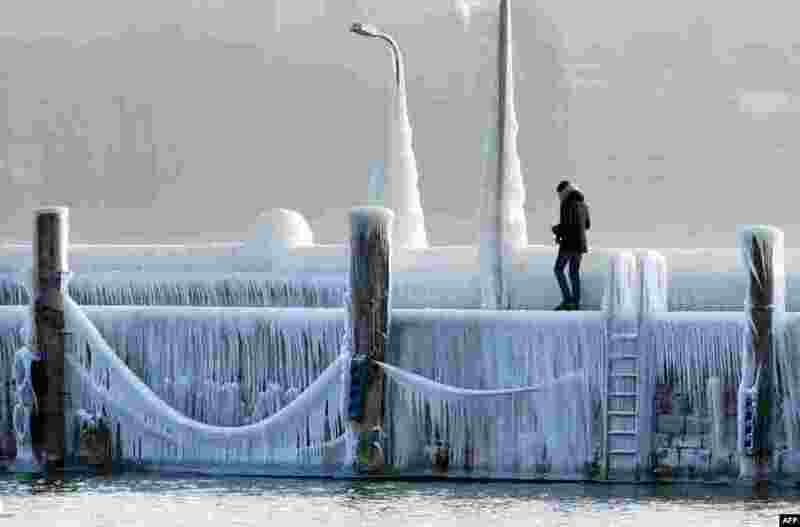 ٢ A man walks along the Lake Constance covered with ice and icicles in Constance, Germany, as a blast of Siberian weather dubbed the "Beast from the East" kept the mercury far below zero in huge parts of Europe. 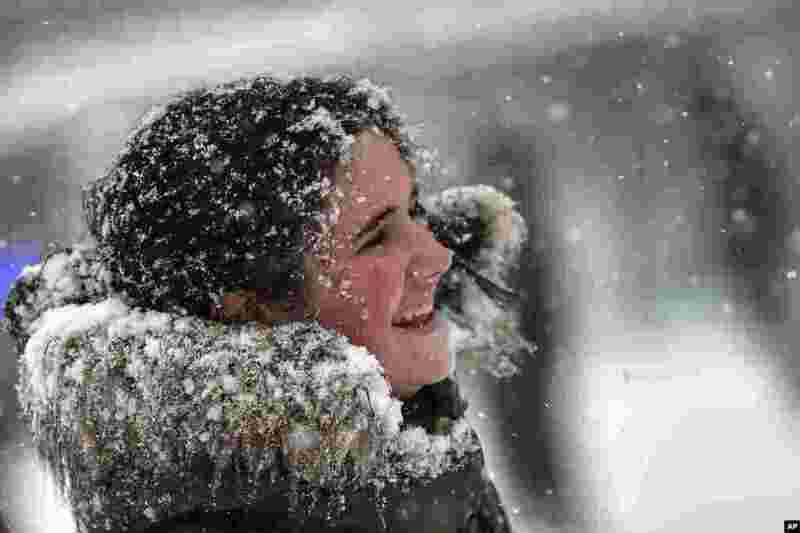 ٣ Snow covers a teenager's face in Pamplona northern Spain. 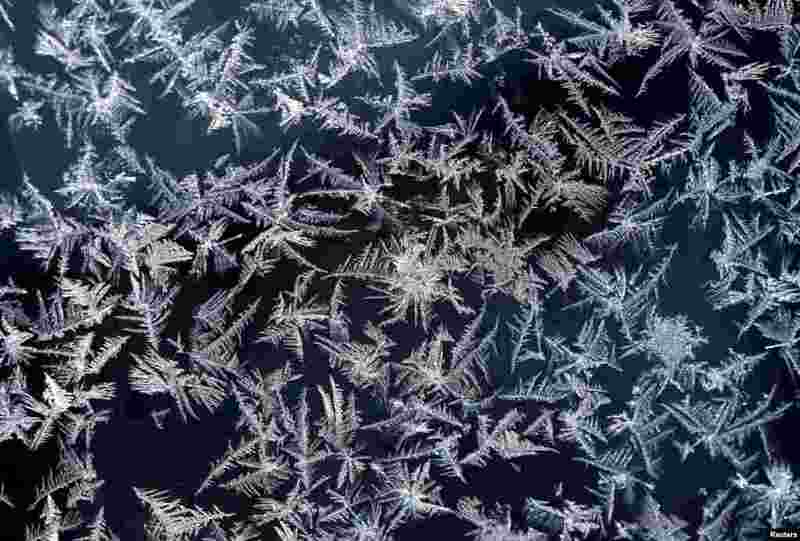 ٤ A window with frost pattern is pictured on top of the highest German mountain, the Zugspitze, in Garmisch-Partenkirchen, Germany February 28, 2018.